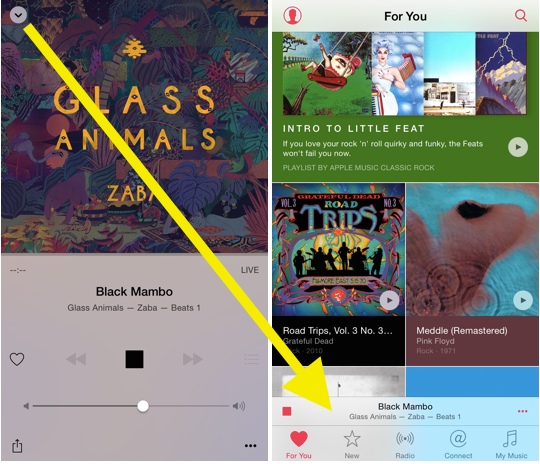 The mini music player sits at the bottom of the screen right above the bottom navigation bar. 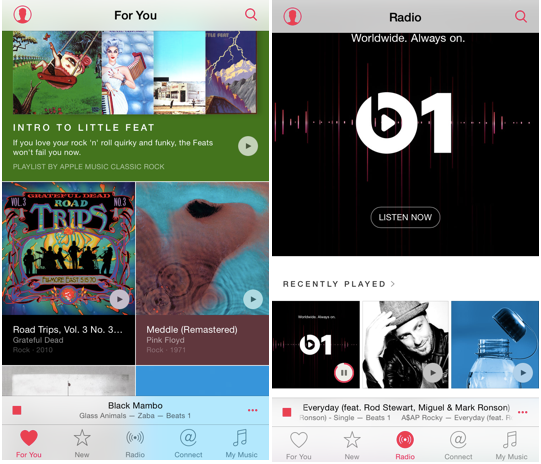 It displays the current song playing and even displays tracks that you are listening to on Beats 1. It has a small play/pause button and a three ellipse button that pulls up a menu with track options to “Add to My Music”, “Show in iTunes Store”, “Share” and more. You also can tap on the center of the player to launch the song in full screen mode.